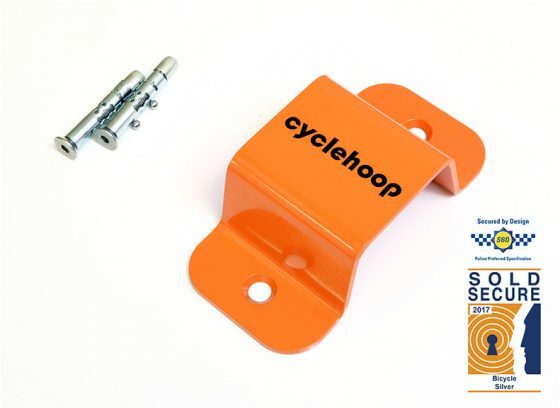 The Mini Wall Anchor HD is a secure, space-saving design for one bicycle providing a permanent locking point for your bike at your home or work place. This robust product can be bolted to brick or concrete walls in any indoor or outdoor setting, saving valuable space. Made from case hardened mild steel and powder coated in a range of colours, the Mini Wall Anchor HD comes with fixings and instructions for installation. 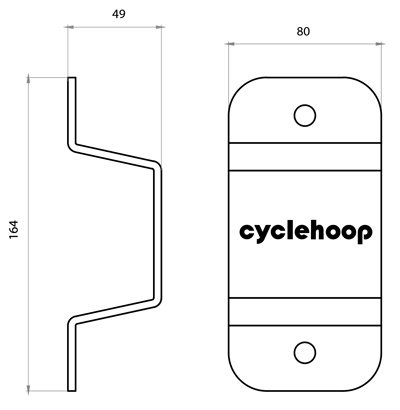 This is a Sold Secure Approved wall anchor achieving Bicycle Silver rating. This means it has been tested and approved for use with bicycles giving you the reassurance that it is of a high security standard. It is also Secured by Design meaning it has passed the standards approved by the police service. For extra security, you will need a high-quality D-lock, cable lock or chain lock (ideally Sold Secure Approved) to secure your bike.